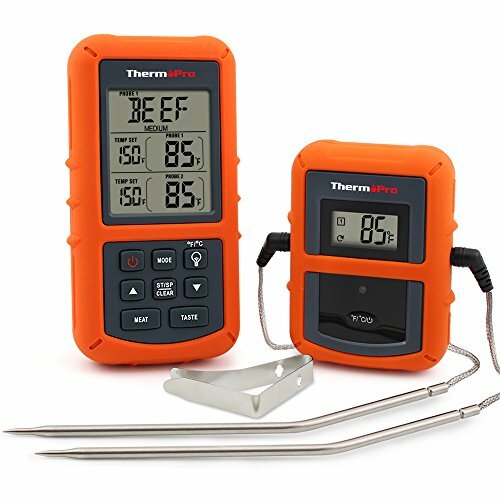 The ThermoPro TP20 is accurate, easy to setup, easy to read and zero signal problems. 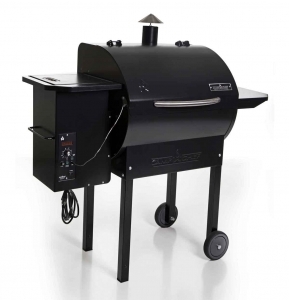 Extremely accurate and priced right this is the perfect wireless grilling thermometer. 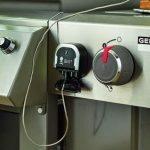 With a mobile receiver that will keep you updated on the temperature of your meal, feel free to mingle, do chores or watch TV without ever having to physically check on your food! If you are preparing for the big game day, having a casual dinner or cooking for the family, expect only the best results while using the Thermopro TP-20. 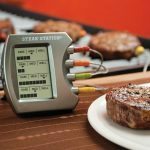 Equipped with dual-probe technology, you have the option of using two meat probes for reading internal temperature of two meats or use one as an oven probe that will accurately read its surrounding temperature.